Will you be Daniel Tiger's Neighbor? 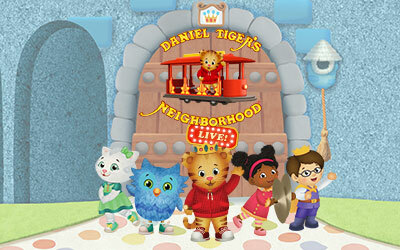 Join us on May 21 for two special performances of Daniel Tiger’s Neighborhood Live! King For a Day! at State Theatre New Jersey. The show is based off the hugely popular PBS KIDS show Daniel Tiger’s Neighborhood, and focuses on Daniel and all of his friends as they go on an adventure in the Neighborhood of Make-Believe where Daniel learns just what it takes to be King. This is not the first time the world has seen Daniel, in fact, he was introduced to us in 1954. On April 5, 1954, Daniel Striped Tiger appeared for the first time on the very first episode of Mister Rogers’ Neighborhood called "The Children's Corner." At the launch party the night before the show debuted, WQED Station Manager Dorothy Daniel gifted Fred Rogers with a tiger puppet. The next day, audiences watched as the tiger puppet―which replaced a bird―came out of the clock that was drawn on the set wall. Rogers named the puppet Daniel, in honor of the person that gifted it to him. Daniel spent more than 15 years on the air with Rogers, acting as a medium to communicate topics like individuality, love, friendship, rejection, divorce, grieving, and death. Children fell in love with Daniel, who amassed a huge following before he and Rogers retired in 2001. In 2003, Rogers died of stomach cancer at the age of 74. In strides to continue his legacy of integrating early childhood development theories into marketable television that would excite children, his company enlisted Executive Producer Angela C. Santomero to find someone to emulate Rogers. However, Santomero believed that no one would be able to animate Rogers. Santomero, who was a big fan of Mister Rogers’ Neighborhood decided that Rogers beloved puppet Daniel was the closest thing that represented him, and wanted to feature him in her new children’s show. Ultimately, she came up with the idea to make Daniel’s son her lead. Daniel Tiger’s Neighborhood premiered in September 2012, and follows Daniel and a new generation of preschoolers living in the Neighborhood of Make-Believe. This version of Daniel is not a puppet, but an animated cub. In the beginning of each 25-minute episodes, Daniel zips up a red sweater that resembles something from Rogers’ closet, puts on his sneakers, and sings “It’s a Beautiful Day in the Neighborhood” before jumping onto the neighborhood trolley. 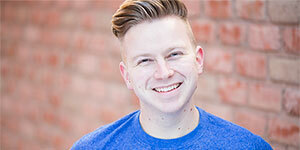 His routine, as well as his personality, and the way he navigates the show’s big moral themes is nostalgic and familiar to parents who once enjoyed Mister Rogers’ Neighborhood. 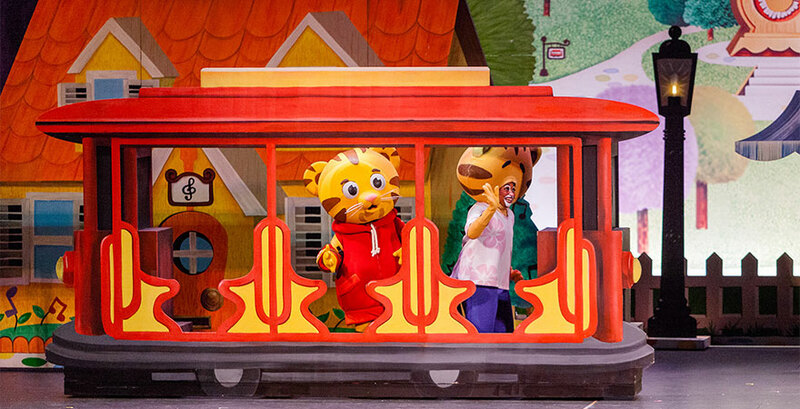 Join us on May 21 as we see the reincarnation of Fred Rogers live on stage in Daniel Tiger’s Neighborhood Live! King For a Day! at 3 and 6pm at State Theatre New Jersey.